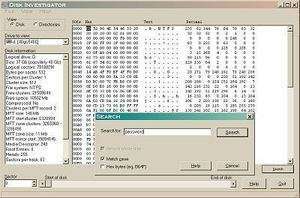 Disk Investigator is an advanced-looking utility which helps its users recover lost or hidden data from your hard drive. In fact, you may also use this program to recover lost or hidden files from many other storage media like USB sticks or memory cards. Disk Investigator, though small, can also recover files which you have removed from the Windows Recycling Bin. The interface scans for lost data and then displays its results in a list which includes the filename, the file extension, the size, modified date and the time it was created. Version 1.61 is a freeware program which does not have restrictions and it's free so it doesn't cost anything. For security reasons, you should also check out the Disk Investigator download at LO4D.com which includes virus and malware tests. Additional screenshots of this application download may be available, too.